If you ever wondered what Ser Loras Tyrell from Game of Thrones would look like as a magical martial artist (that would be weird if you did), you're in luck as the first teaser trailer of Netflix's 'Iron Fist' Marvel series has emerged from the New York Comic-Con. Finn Jones plays Danny Rand, once presumed dead after a plane crash, returns to New York City after being missing for years, trying to reconnect with his past and his family legacy. He fights against the criminal element corrupting his world around him with his incredible kung-fu mastery and ability to summon the awesome power of the fiery Iron Fist. 'Iron Fist' is the fourth original Marvel series on Netflix following Daredevil, Jessica Jones, and Luke Cage. The four main heroes will join forces in The Defenders sometime next year. There's also a Punisher series in the works. If the teaser is any indication, 'Iron Fist' seems to fit right in with Daredevil, hallway fight and all. But Danny has a Glo-Worm for a hand in what was reportedly a crowd-pleasing moment at NYCC when the Iron Fist fired up. Iron Fist also stars David Wenham, Jessica Stroup, Tom Pelphrey, and Jessica Henwick who plays Colleen Wing, she runs a martial arts studio that was teased in Luke Cage. Making appearances from other Netflix Marvel series is Carrie-Anne Moss as Jeri Hogarth (Jessica Jones) and Rosario Dawson as Claire Temple (Daredevil, Jessica Jones, Luke Cage). 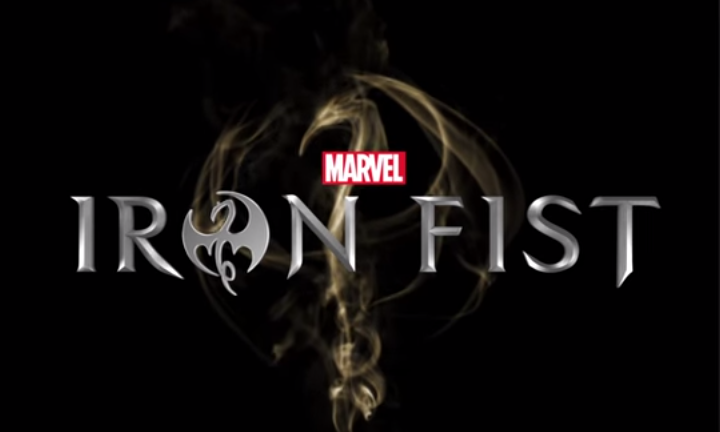 'Iron Fist' hits Netflix in its entirety on March 17, 2017.